-Business card information including Card IDs can be downloaded. For more details, see here. 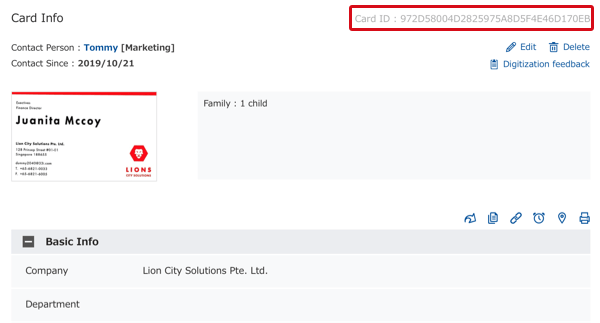 -Searches for business cards can be done using Card IDs as search keys. For more details, see here. 2. The part in the upper right inside the red box is the Card ID.